Extended Producer Responsibility (EPR) is now implemented across many countries as a means of organising the management of waste. 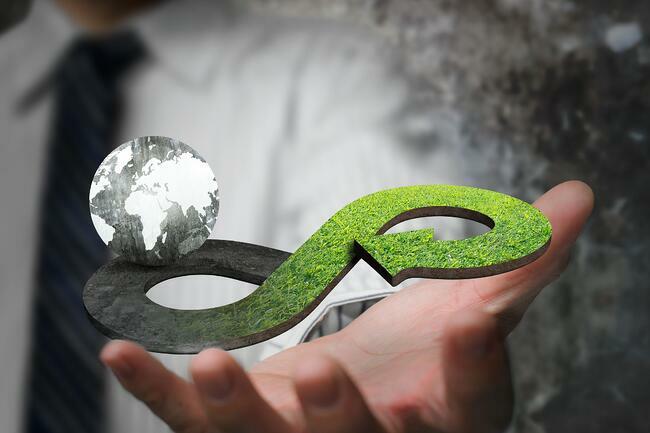 Indeed, the principle stands for a health and environmentally-friendly waste management system. Waste is no longer the sole responsibility of the end-user (consumers, municipalities or businesses) but falls to the entity that first made the goods available by placing them on the local market. Prior to the EPR policy approach, waste holders such as municipalities, retailers, businesses would manage waste directly with logistics and waste operators. “an environmental protection strategy to reach an environmental objective of a decreased total environmental impact of a product, by making the manufacturer of the product responsible for the entire life-cycle of the product and especially for the take-back, recycling and final disposal”. Consequently, producers are defined as the party responsible for setting up and making available compliant financial and/or physical solutions to all stakeholders such as consumers, businesses, etc. Producers are defined as businesses or entities placing a product onto a national market for the first time. Producers can be manufacturers, OEMs, importers, distance sellers, ecommerce, brand owners (license for import and/or distribution), etc. In the past, waste management was mainly about sending waste to landfill. Thanks to the evolution of technology as well as to legal requirements, the waste treatment infrastructure now enables the dismantling and sorting of materials so as to recycle or recover them in order to reduce the environmental impact of consumption. As devices and equipment become more elaborate (including high value materials in very small quantities), some items of (dismantled) waste have taken on an increased value. Therefore, waste management has evolved progressively: landfilling activities decrease thanks to the increase of dismantling, sorting and recycling capacities. Treatment facilities have had to adapt to the variety of waste arising from the end of life of goods whilst their technologies “naturally” extract and recover the most valuable materials. Moreover, treatment facilities are coping with the challenge of extracting high value materials that are available in very small quantities per items (1 gram of indium in a flat screen TV for example). Hazardous materials (lead, brominated flame retardants, mercury, PCBs, etc. ), critical materials (cobalt, gallium, indium, etc.) or materials at risk (because of monopolies) are very much at stake for our modern societies. Core raw materials (e.g. copper, cobalt) are also at issue given the industrial independency of western countries versus China’s dominant position on mining extraction and manufacturing. In other words, legislation require specific recycling and recovery of materials (rare earth, copper, aluminum, cobalt, indium…) whereas it requires to dispose of specific hazardous substances and materials (mercury, brominated flame retardants, lead…). In Europe, member states via the European Commission have decided to foster the implementation of EPR systems for waste management. Nowadays, governments and authorities set collection targets, recycling targets, recovery targets and thereby disposal targets. This policy approach promotes health and safety whilst reducing the environmental impact and consequences of the dissemination of hazardous materials. It also provides a solution to resource scarcity and economic monopolies. What are the consequences of EPR for producers? Producers shall take responsibility for the end-of-life management of their products and provide take-back, recycling and recovery solutions to the stakeholders active on their supply chain as well as to the final end users of the goods. Producers are required not only to fulfill product compliance requirements (e.g. from REACH, RoHS, Energy consumption, etc.) but also end-of-life management. Since it is not producers’ core business and because waste management can be organized efficiently as a collective task, they shall bear the cost of waste management corresponding to the products that they place on the market. Producers shall control the impact of their products in our societies when the items become waste (i.e. when the owner throws it in a bin). In order to manage their compliance, producers can contract with dedicated companies that have the legal, financial and operational capacities to manage waste obligations: EPR schemes and compliance schemes. How does it work in reality? A company located in country A sells smartphones in country A. The company sells to retailers, distributors and on the web. the packaging is subject to the EPR packaging waste legal framework: the EU Packaging directive implemented in country A. In the EU for each waste stream, there is usually a dedicated EPR legal framework with specific features. Consequently, producers need to identify their obligations separately for each waste stream, per country. Compliance schemes were set up to address producers’ compliance needs. There can be one or several compliance schemes per country and per waste stream. The EPR system also requires producers to declare quantities and/or weights of equipment they place on a given market. Producers pay a fee per unit (goods or materials) or per kilo placed on the market in a calendar year to guarantee the financial and/or physical waste management in proportion to the products they sell. New goods sold in a specific calendar year finance the waste management of equivalent products arising as waste in the same calendar year*. A smartphone sold in 2018 will contribute to the waste management of equivalent waste smartphones in 2018. A battery placed on the market in 2018 will contribute to the financing of similar waste batteries in 2018. Packaging (plastic, cardboard, etc.) placed on the market in 2018 will contribute to the management of similar waste packaging in 2018. *Sometimes calculations are based on the previous years sold quantities. In this way, producers pay the compliance schemes for the costs associated with financial and/or physical take back and recycling of the waste. It is a way to make producers fulfil their role along the life cycle of the product. Such an EPR system is sometimes called a stewardship program (notably in North America) over a product or goods. Products stewardship programs or EPR systems also aim at influencing the design of products. What are the benefits of an EPR system? Depending on who/where you are in the supply chain, the benefits perception can vary. Producer: the opportunity to diversify take-back/recycling services, reverse logistics, strengthen green image, level playing field among producers and competitors, opportunity to change business models (ownership vs use), etc. Authorities: a solution that delegates an area of public service to private companies whilst ensuring reliable and state-of-the-art waste management. Financing and/or take-back and recycling are managed so as to enhance and monitor treatment and recycling at the cost of the producer or consumer (as opposed to the tax payer).